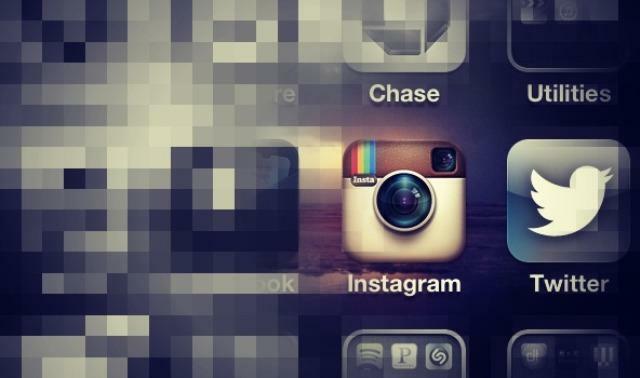 Instagram vs Twitter – A fight to the death? In previous years it was a fight between Myspace and Facebook, with Facebook coming out on top. Since then we’ve had the Apple vs Microsoft saga and even Harry potter vs Twilight. It now looks like the age of the social media platform battle is back, and will be bigger than any seen previously. The battle is rife with sabotage, exploits and back handedness in the press surrounding the feud between to the two multi-million-money-making moguls. With Twitter quite publicly disabling images from Instagram, it seems that the blue-bird company took personal offence to not winning the bid to buy the photo sharing business. Limiting access between the two sites is something that is now becoming more and more futile and until recently, members of each site haven’t been bothered by the bickering. Now it’s beginning to effect the users’ interaction and we think it will only be a matter of time before you can only use one without the other. Replicating features is another concern of users, as well as the limited access between the two. As mentioned, when snapping a pic on Instagram and wishing to share on Twitter depicts a very strange image on the status site. This is taking competitive to a whole new level. It seems like the days of bitchiness behind closed doors is over and a full blown media war is occurring right in front of our, the consumers, eyes! As a user of both the sites, it makes it difficult to choose which way I would swing if the need ever came to it. Would I want to engage with people’s words or images more? Do I care what people are talking about or would I rather see what they are? Decisions, decisions. Whilst Twitter certainly has the sheer number and has been around slightly longer than Instagram, the photo-capturing site has the big boys of Facebook backing them. Facebook integrated their applications with that of Instagram, recognising that their users had a want and need to share their photos on the site. Both Instagram and Twitter have a substantial following and as mentioned, neither ‘side’ of consumers have been bothered until now. Corruption and disabling, blocking and lack of consistency are beginning to wane with the users and the on-going feud is being called to make up or break up for good. Instead of working together however, it seems neither side are backing down, and with such a competitive space they are competing for, it looks like it may be a battle to the death. Where does your loyalty lie? Whilst the sites can’t find solace in the fact that users are and are wanting to use both sites together, we can certainly begin to understand the sheer importance and power that we, the consumers must have. Thanks to the recent little matter of an election, Twitter has really proved its worth as a reputable news stand; largely thanks to the embracing nature of the man who yesterday, was re-elected back into office for a second term. 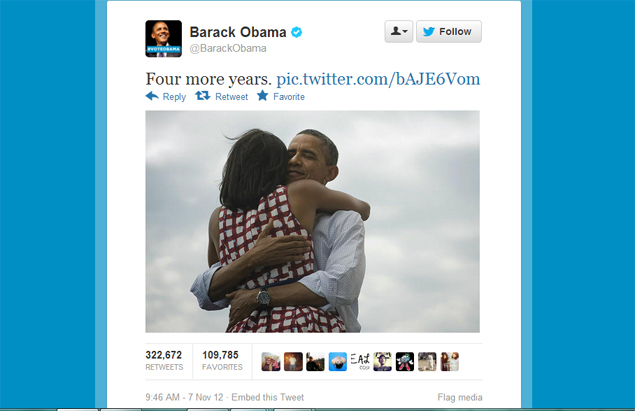 Barack Obama has welcomed Twitter with open arms from his first electoral campaign, and has really proved the site and its news influence over the last few months, and certainly the last day. Both electoral parties took to the Twitter platform to drum up support and keep an eye on the others online tactics. With this being set as one of the closest to call elections to date, Twitter played a large part in keeping exposure to a maximum and a debate of interest with followers and supporters online. Tuesday night saw more then 31 million election themed tweets being sent, making this the most popular tweeted event in US political history ever.